BEST stands for Building Environmental Standards, and BEST-certified buildings lead the way in energy and water conservation, waste reduction, indoor air quality, and operational best practices. There are currently more than 1,800 buildings certified BOMA BEST, making it Canada’s leading environmental certification program for commercial buildings. With nearly 50 buildings certified in our province at any one time (and more to come) BOMA Manitoba is proud to contribute to this worthwhile initiative. Visit www.bomabest.com to learn more about the program, download the application guide or apply now. Need Some Help with your BOMA BEST Submission? BOMA BEST Version 3.0 : Now Here! The 2014 BOMA BEST Energy and Environmental Report is now available. This is a full report showcasing the state of BOMA BEST certified buildings in Canada and includes more than 80 figure comparions on energy, water, waste consumption, and more. BOMA BEST Profiles feature Winnipeg buildings that are engaged in environmental management and practice. Recycle Everywhere is pleased to offer all BOMA members beverage container recycling bins for all office, commercial, institutional and retail buildings free of charge. In addition, they can work with your collection service provider and building cleaners to enhance an existing recycling program or implement a recycling program if one does not already exist. 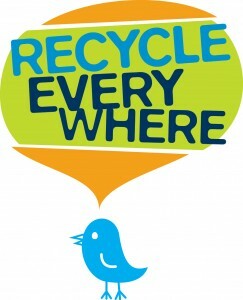 To view and order your free Recycle Everywhere bins simply visit RecycleEverywhere.ca/request-bins. If you have immediate questions or would like to request a site visit to evaluate your building please contact Recycle Everywhere at 204.942.2284 or info@recycleeverywhere.ca.